Let go of the world and escape to Tocaloma Spa & Salon. Our peaceful and intimate spa provides a variety of massage, body and skincare treatments, body exfoliation services and in-suite pampering. Visit the salon for an array of nail, pedicure, hair care, hair removal and cosmetic services. Extend your spa experience and take the memories home with you with our exclusive line of spa and salon products available for purchase as well as gift certificates. Our experienced team of professionals promise an experience that will heighten your senses and release your body and mind. 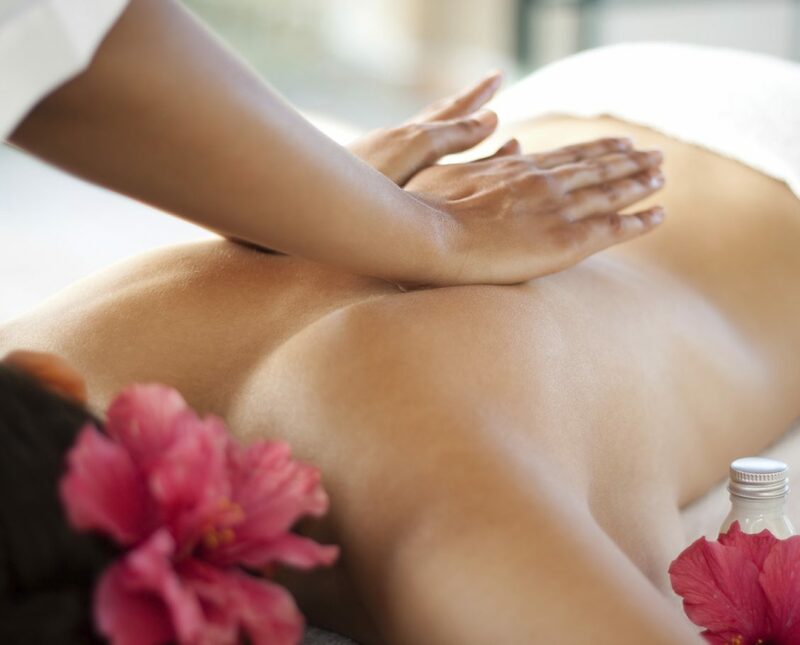 Each of our spa and salon therapies utilize a variety of healthful ingredients indigenous to the Southwest. Whether you're gearing up for prom, preparing for your wedding day or simply enjoying a day of rest and beauty, the Tocaloma Salon is ready to assist with a collection of top-notch services for hair, nails, cosmetics and more. Norvell airbrush spray tan is not just a tan, it's a healthy skin treatment too. Skin firming formula reduces the appearance of fine lines and wrinkles. Guaranteed fast-drying, non-sticky and streak-free formula; no orange color development; even color fade; lasting results, 5-7 days with proper maintenance. Come in today for your gorgeous "just off the beach" color. This ultimate pampering pedicure includes a warm neck wrap, foot soak, callus removal, exfoliation with our sugar scrub, application of honey heal glaze and a hydrating paraffin treatment. Top it off with a 20 minute indulgent foot massage, polish of your choice and a complimentary glass of wine while you relax. A luxurious treatment including a warm neck wrap, foot soak, exfoliation with our sugar scrub, callus removal, honey heal glaze, our scented lotion application and polish of your choice. Feel yourself melt with a warm, soothing, hot stone pedicure. Take pleasure in the Tocaloma Signature Pedicure with a touch of ancient basalt stones heated to melt knotted muscles and bring blessed relief from tension to those tired feet. A luxurious treatment including a warm neck wrap, foot soak, exfoliation with our sugar scrub, callus removal, polish of your choice and our scented lotion. Refresh your feet with a brief soaking of the feet, clipping of nails and cuticles, polish of your choice and our scented lotion. Great for those who get regular pedicures. Treat yourself to this wonderful service that will renew the appearance of your hands. Includes a hydrating paraffin treatment, polish of your choice and mini hand massage with our scented lotion. Well manicured hands are a sign of success. This service includes soaking of the hands, polish of your choice and a mini hand massage with our scented lotion. Please reference our spa policies with gratuity, cancellation and mail-order policies prior to booking your service. An automatic 20% gratuity will be added to your treatment at check-out. Please arrive 15 minutes prior to your first service. You'll want to get the most out of your spa experience. Arriving late will cut into the precious minutes of your treatment. Remember that your service will end on time so the next guest isn't delayed. Please respect the right to relaxation of other guests. No cell phones, please. Lockers are provided, but please refrain from bringing valuables to the spa. Although Tocaloma does not have an age requirement, we kindly ask that all children are closely supervised while at the spa. To make your spa experience as seamless as possible, an automatic 20% gratuity will be added to your treatment price at check-out. All services require a 24-hour advance cancellation/reschedule notice to avoid being charged the full amount of any treatment, service or package not received. We strictly adhere to the spa cancellation policy as a courtesy to other guests and our service providers. To continue the spa experience in your home, all Tocaloma retail products are available through a mail-order program. Just call the spa at 602-375-4645 with your request, and it will be shipped to you.